In my list of 10 Ways to be Absolutely Miserable, I listed “Don’t forgive” at the top of the list. While the rest of the list was in random order, this was first for a reason. I personally think that holding onto past hurts and injustices causes the most unhappiness for the most people. You can disagree with me. But I think that learning to forgive is one of the most important things a person can do to increase their happiness and live a more fulfilling life. But how do we forgive? Do we just say, “I forgive you,” and it’s over? Saying it and feeling it are two entirely different things. In my life, there are some specific things I have found to be helpful when trying to forgive. 1. Write a letter. Dr. John Lund, noted marriage and family counselor, suggests writing a letter (that you are not going to necessarily send) to the offending party. (In some cases, the person is no longer living, and in most other cases, no good would come of sending the letter). Write down everything they have done to cause you pain and sorrow. Sit down facing an empty chair and read the letter out loud, imagining that the person is sitting in the empty chair. At the end of the letter, say, “I forgive you, and I turn you over to God.” This is where we hand the burden over to the Savior. He has already said He would take the burden from us. We just have to give it to him. In some cases, it is ourselves that we need to forgive. We just can’t seem to get past the stupid things we have done (either purposely or accidentally) and continually beat ourselves up about them. If this is the case, then you can write a letter to yourself, writing down everything you can think of that you still feel guilty about (whether you know it’s rational to feel that way or not). Don’t leave anything out. Then, put a mirror in the empty chair across from yourself and read the letter to yourself. At the end, ask God to forgive you, and then say, “This day, I forgive myself.” Truly feel it. You have given your bag of mistakes and sorrows to the Savior. You don’t have to carry it any more. 2. Bury the hatchet. Dr. Lund speaks of the old Indian practice of “burying the hatchet.” We have heard this phrase many times, but it actually refers to a physical “burying of the hatchet” that used to occur when warring factions were ready for peace. The chiefs of each tribe would put their mark on the hatchet handle, and then the two patriarchs from each tribe would go bury the hatchet together. After that, the issue that caused the war could never be brought up again. If doing something physical and symbolic will help you to forgive, then this is something you might consider. Go to a hardware store and purchase a hatchet handle (you don’t have to get an actual hatchet). Write the person’s name on the handle you want to forgive, and the date. Then go bury the hatchet. It can be somewhere close, or somewhere far away. If you choose somewhere nearby where you will see the burial place, then every time you see it, you can remind yourself that you forgave and be grateful for the emotional freedom you now feel. We often hear the phrase, “Forgive and forget.” If it is too hard to forget, then when you remember, remember that you forgave. 3. Consider new methods of healing emotional pain. In recent years, new methodologies of healing have emerged that deal with the negative energy trapped by our painful experiences. I won’t go into lots of details, but two books I have found very intriguing are The Tapping Solution and The Healing Code. They have opened my eyes to just how important forgiveness is, and show easy, painless ways to release negative emotions. 4. Pray. I believe wholeheartedly in the power of the Savior to heal us from all wounds. He is the linchpin in the process of forgiveness. As with all difficult things, we must pray to our Heavenly Father to apply the atonement of Jesus Christ to heal us from our pain and sorrow. What Christ suffered in the Garden of Gethsemane and on the cross was not just to pay for our sins. It was also to wipe away our tears, to feel every heartache we would ever have, and to carry every burden that would be placed upon us in our lives. Christ knows perfectly how we feel, and He knows perfectly how to heal us. Sometimes we know we need to forgive, but we don’t want to. If this is the case, then we should pray for the desire to forgive. The Lord will soften our heart and give us courage to release the pain we have been carrying. Some people wait until the offending party apologizes, or changes their ways, or dies. This is not what forgiveness is about. It has nothing to do with them. It has everything to do with you. Consider the following poignant story shared by Dr. Lund in his book, For All Eternity: Practical Tools for Strengthening Your Marriage. Many years ago, a woman was stalked, kidnapped, and violated by an evil man in a hotel room. He thought he had killed her with his knife, and came back later to wrap her up in the hotel shower curtain and take her from the hotel. However, the woman was not dead, and she groaned as she was being carried. The man panicked and shot her in the head. Miraculously, the woman survived, but the bullet had taken out both her eyes and the bridge of her nose. The police caught the man and arrested him. He served seven years in prison and was then set free. Is there someone you are giving your todays and tomorrows to? Isn’t it time you released the burden? 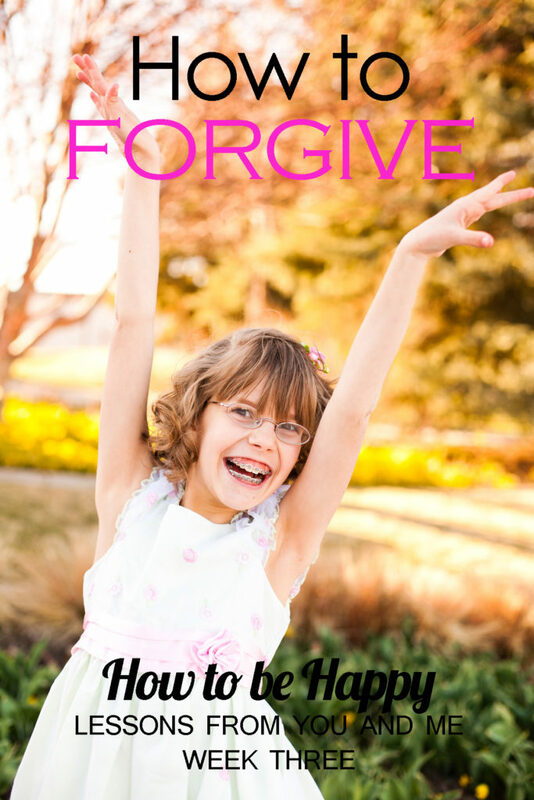 I challenge you this week to find one person you can forgive (even if that person is yourself) and to do it! Are there other things you have found helpful in the process of forgiving? Please share them in the comments. If you missed any of the previous weeks’ posts, you can find them on my Happiness page. Once again very well written and thought out. And I agree with you 100%. Forgiveness is not always easy but is essential to finding true peace and happiness. I often think of something that I heard Hugh Nibley say in a talk – that he thought one of the main purposes for us on this earth, probably the main one, was to learn to repent and forgive. In this light they are both ongoing processes and we should never give up on either one. That is the only path to peace and happiness. Wow, Melissa! Powerful and thoughtful. I love this concept of giving up a part of yourself due to holding pain inside. I completely agree with that having had many years of painful baggage carrying. I have used the concept of writing the letter and I actually burned it in the end. I have done stream of consciousness writing as well in my process(es) of healing and have been able to uncover pain that I didn’t know existed. Thank you, Olivia! I really do hope that this post can help people! What a wonderful post. Growing up, I continually heard “forgive and forget” as often as I heard that it was never followed by any how to instructions. Although the forgiving part was hard, the forgetting part was even harder. It wasn’t until I found the following quote that I was able to fully understand forgiveness. Thank you for sharing at Fluster’s Creative Muster, I hope that you’ll be joining us again. Keep up the wonderful posts! Robin, I love the quote you shared. That is perfect. Thanks so much for stopping by! Wow Mel, very insightful, loved what you shared! What a great post! 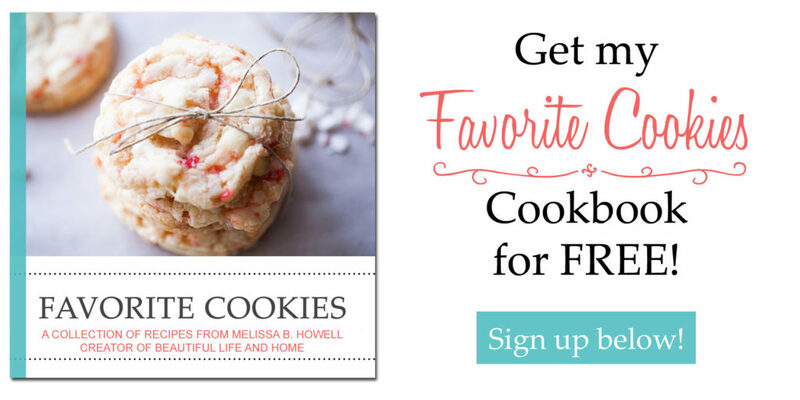 I really love your blog, Melissa – so fun! Your writing is happy and funny, exactly how I want to feel when I’m thinking about ice cream 😀 And your new “About Me” page is great!